As the 1960s progressed so did the confrontation between Ferrari and Ford. The Italian firm’s slight-rejecting Blue Oval’s offer to buy them - saw the birth of the Ford GT40 project, with Ferrari’s response being to build some of the prettiest and most competitive cars ever to emerge from Maranello. In 1964 Ferrari introduced the 330P, a clear and dramatic evolution of the outgoing 250LM. This was swiftly followed by the 330P2 and 330P3 respectively. At the same time, the Italian company launched the Dino 206S, which was fundamentally a reduced scale 330P on a shorther wheelbase – though crucially it retained a similarly beautiful body style. Like the 330P, the 206 was bodied by Drogo’s Carrozzeria Sports Cars and had metal alloy panels riveted to its multi-tube frame to enhance stiffness. Ferrari initially set out to build 50 cars, the required production run needed to allow it to race in the FIA Group 4 class. However, due to the financial constraints on the race team at the time, only 18 were ever built, and as a result the car didn’t qualify to compete. 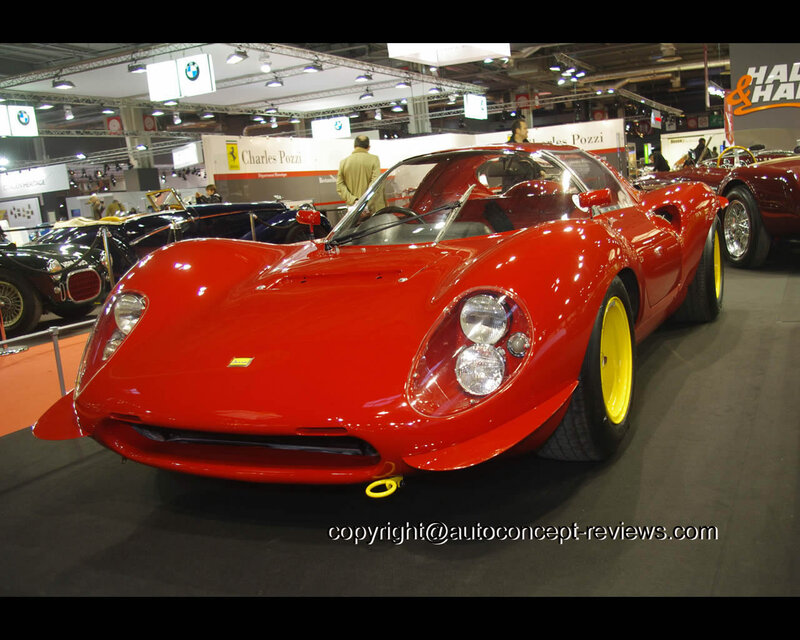 So the Dino 206S became what is known as today, the Dino 206 SP – the SP standing for Sports Prototype. 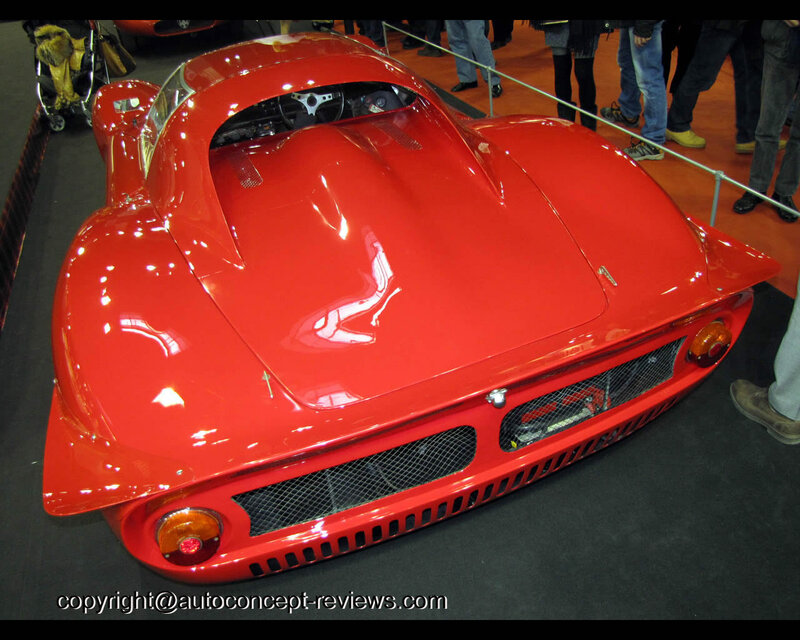 Chassis 032 exhibited by Fiskens at the 2012 Rétromobile in Paris, France, was the last of the 206 SP to be built. Whilst there is no evidence of any period race history for 032, all known sources indicate that it was sold new to Vincenzo Arcuri, resident of Rocca de Neto, Calabria, and road registered on Italian license plates. He retained the car until 1974, when it was sold to a Mr. Monticone of Turin, who retained 032 until 1976, when it joined the famous collection of Italian Corrado Cupellini of Bergamo. The current owner acquired 032 in 2001 and has since campaigned the Ferrari throughout Europe, most regularly in the Ferrari Maserati Historic Challenge and notably at the Goodwood Revival in 2006. 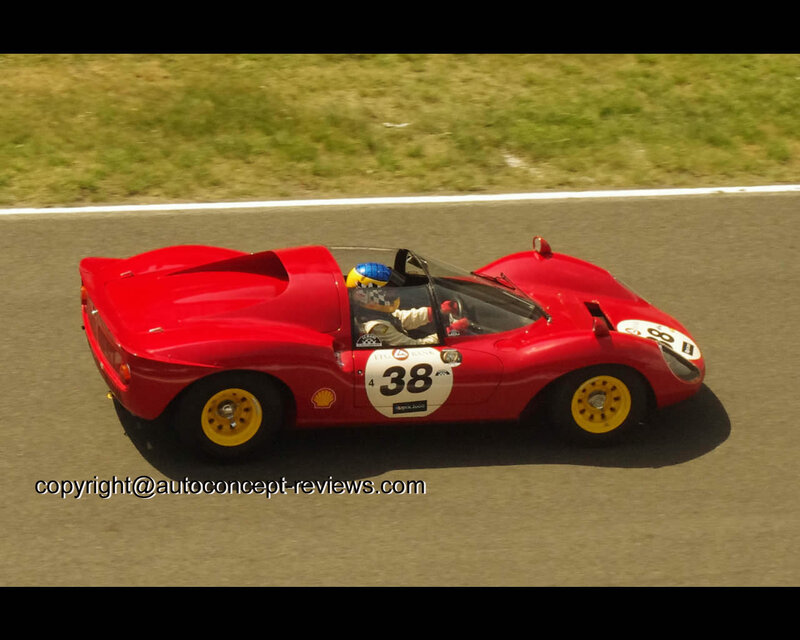 Some photos illustrate the Ferrari Dino 206S presented at Classic Le Mans 2010 under N°38 by British drivers Harry Leventis, Gregor Fisken and Bobby Verdon-Roe. The car is propelled by 2000 cc V6 engine.